I had an amazing time in Japan. Some of the things I got to learn about while I was there were how to film and edit videos. One of the days, Shinya took Terry and me to a park close to Rewind to teach me how to shoot a good clip video. We spent the whole afternoon filming, and later we edited the video back at Rewind. There are many different angles and slow motion shots in this video that add very cool effects. Some of the tricks in this video are old tricks that you have probably seen before if you have seen my videos, but there are also some new tricks and combos in the video that I hope to use in future yo-yo contests. This video was filmed and edited by Shinya. Please give us a comment to tell us what you think. Enjoy the video! The second day we went and visited the Rewind store in Shibuya. We were greeted by Jun and the staff. 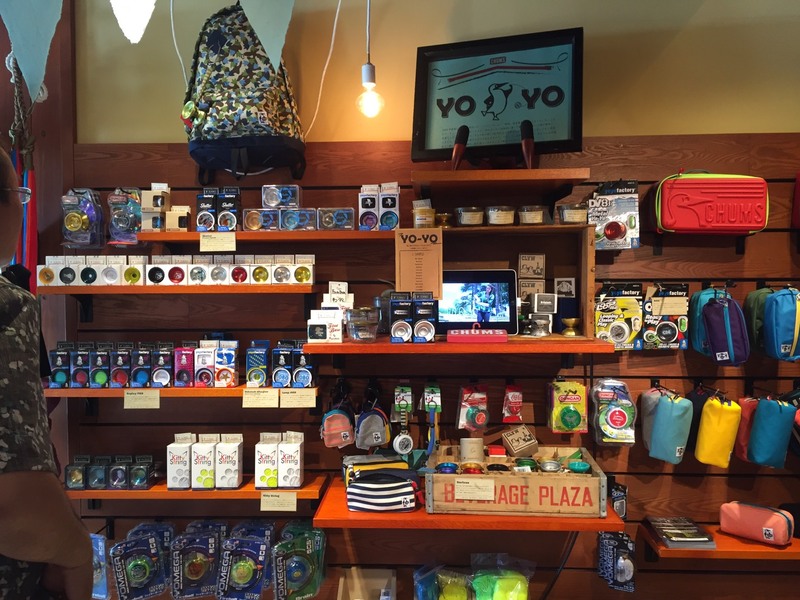 The Rewind store is small but has a wide variety of yo-yos, strings and accessories. That same day we went to Chums, a very cool apparel store that has a huge following in Japan. I got to meet the store manager, who is a good friend of Rewind’s, and show him some tricks. The store manager likes yo-yoing so much he carries a wide variety of yo-yos in his store. After Chums we went to lunch at a ramen house. They take ramen eating very seriously at this specific ramen place. Everyone has their own individual booth that has walls in between them so you can concentrate on eating your ramen and nothing else. 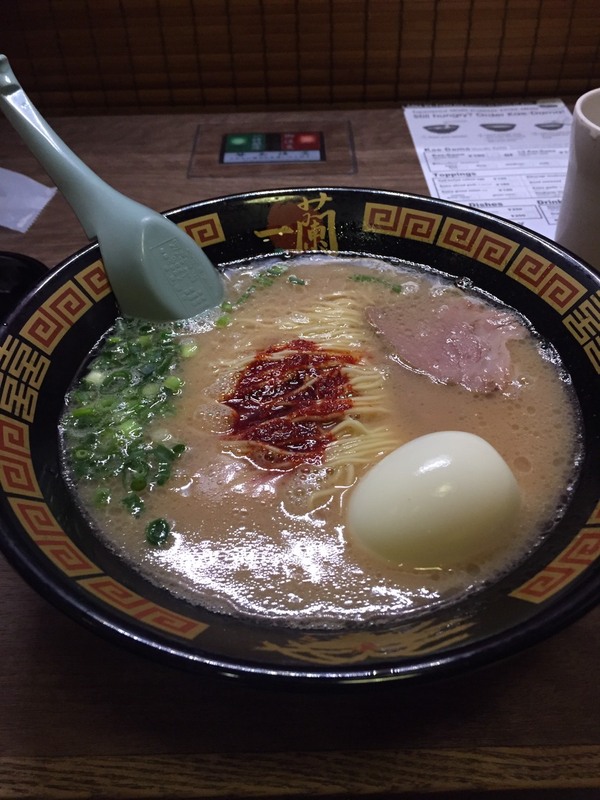 To order your ramen you fill out a piece of paper asking about your ramen preferences. The ramen was delicious! I like how you got to customize the ramen to your specific liking. 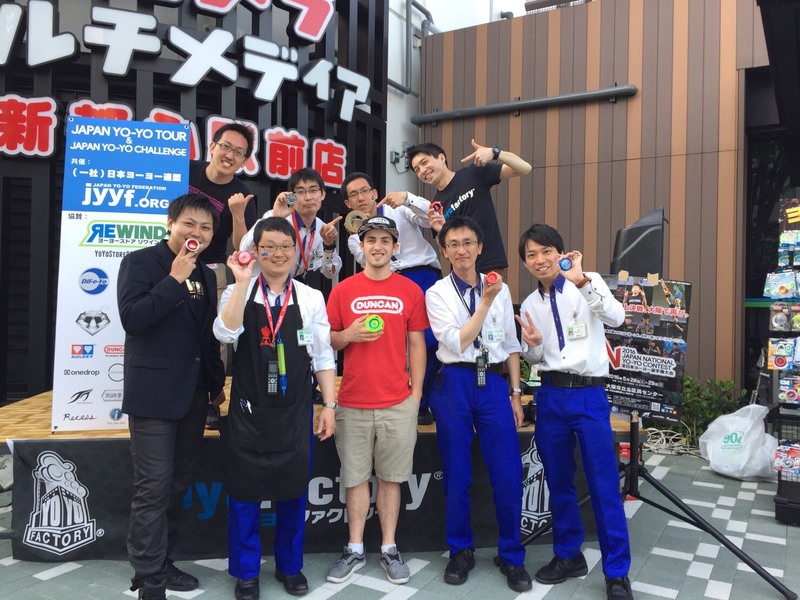 The third and final day in Tokyo we did demos again. This time Shinya Kido and I did the demos. Shinya would start with a responsive yo-yo demo. He would get the crowd warmed up and interested in yo-yoing. Next I would go up and do offstring and then Shinya would come back out and finish the demo off with an unresponsive yo-yo show. After the demo, one of the yo-yo kids brought Shinya and me a present. It was a sweet snack shaped as a fish. 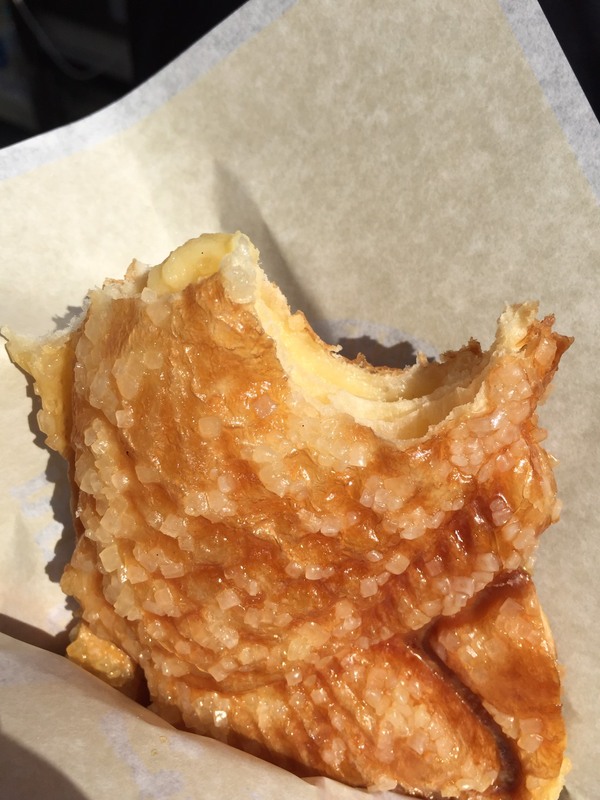 The outside of the treat was very soft and sweet and the center was filled with custard. It was so good! 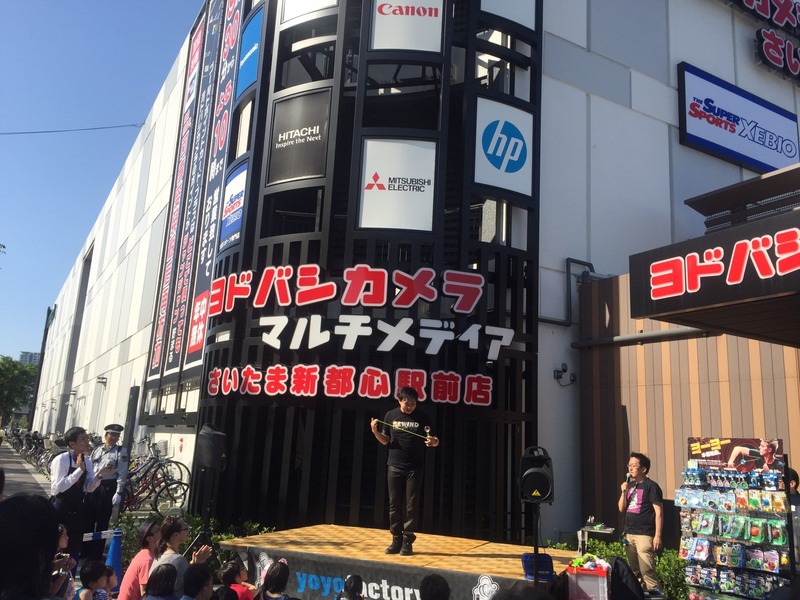 I enjoyed doing the demos in Tokyo. All the people that came out to see us or stop to watch were very nice people. I enjoyed teaching the kids how to yo-yo. I hope I can to more demos in Tokyo soon. We woke up at 3am to leave for a long 5 hour drive to Tokyo. When we got to Tokyo we went to a shopping mall called Cocoon City, where we were going to be doing demos for the day. We were greeted there by the mall employees. They treated us like we were famous celebrities. They brought us food, water, and escorted us to and from the stage where we were demoing. The employees that helped us had yo-yos painted on their cheeks. Walking through the mall it was a dream come true to see all the posters with our pictures on them plastered all over the mall. The stage was set up in front of a main entrance to the mall. It had a lot of foot traffic and people would stop and watch us yo-yo. The first day’s demos were performed by Shu Takada and me. I would go first and do an offstring performance for the crowd. Next Shu would perform his 1A and 2A tricks. 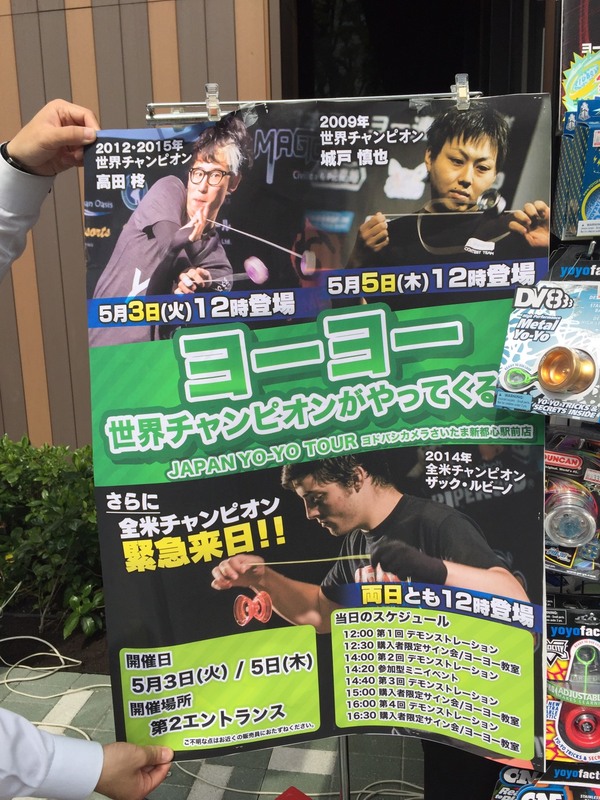 It was entertaining to watch Shu not only yo-yo but perform using all of his dance moves. After the demos we would have a signing session where people could get things signed by the yo-yo pros and also take pictures with them. 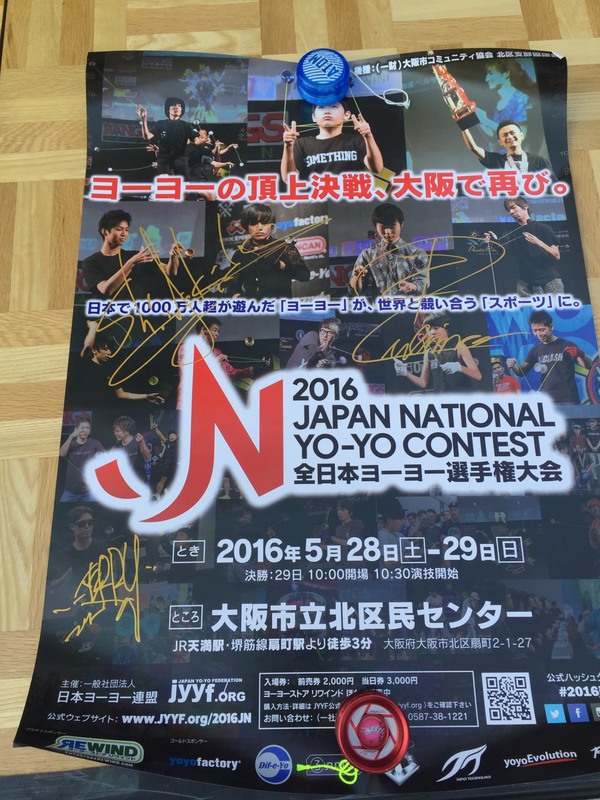 We signed many things like yo-yos, shirts, poster, phone cases, and phones. After the signing we would teach people tricks and have a long sleeper contest for the little kids so they could win prizes. We performed 5 shows that day. For the nights we stayed in Tokyo we slept in a capsule hotel. I had never stayed in a capsule hotel before. I had a lot of bad thoughts and rumors in my head of what the experience was going to be like. The internet was not any help at putting my mind at ease. When we got there I was pleasantly surprised. We took off our shoes and put them into a very nice lock box and put on the slippers provided. Walking into the hotel was very nice. When we got to the beds I was yet again surprised. They were soft beds with a modern sleek look to them. 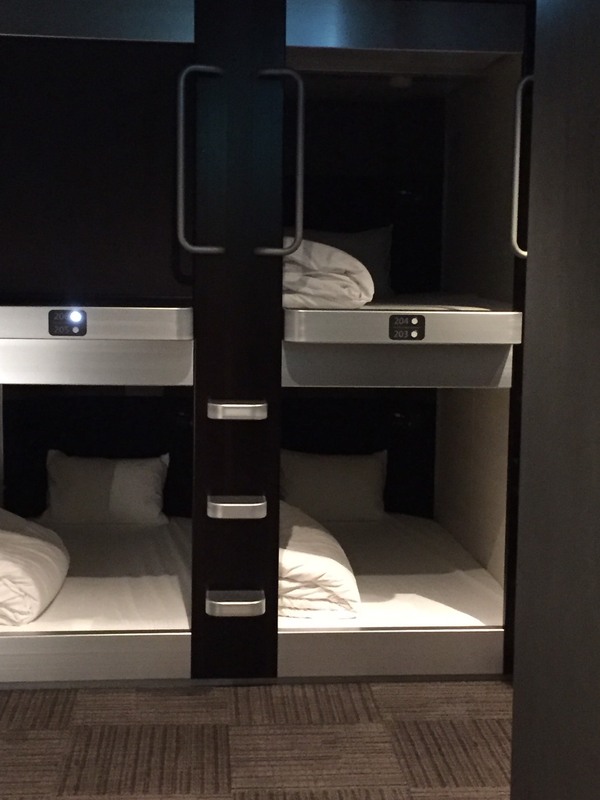 The experience I had in the capsule hotel exceeded my expectations.